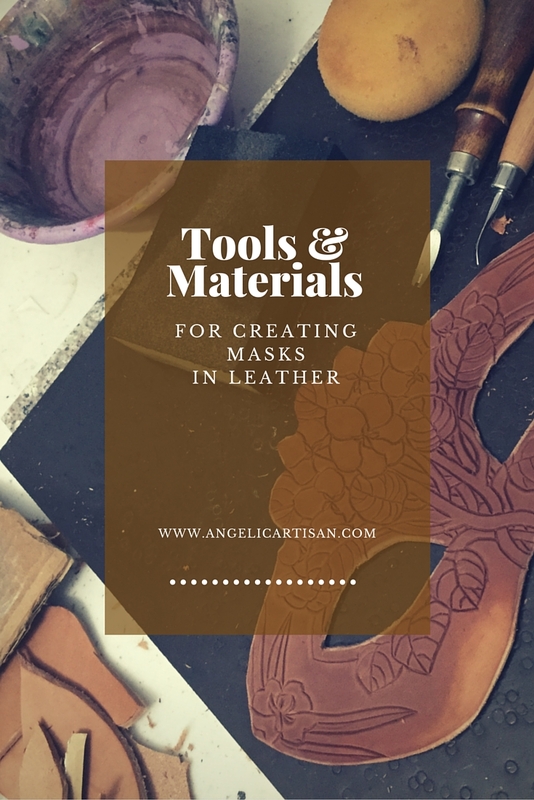 Here's a master list of the tools and materials I use for mask-making! If you purchase via the Amazon links, I'll get a little kickback from your purchase that helps me out! But you don't have to. I encourage you to find the tools where you can! eBay is always good place to start. And remember you can improvise, too. I used a pen cap and a modeling spoon to tool a long time before I bought fancier tools! This basic set from Tandy is a great start! with some basic swivel blades and stamps. Sponsor my work on Patreon and receive exclusive rewards! I'm an artist, writer, and mask-maker with a passion for telling stories and helping other artists find their inspiration.